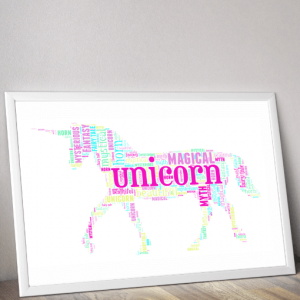 Add all your own words to create your Personalised Rainbow Word Art Print. Someone from York & 4 others recently bought this item. Create your own Rainbow Word Art Print. Example: Rainbow, Colourful, Magical, Pot Of Gold, Purple, Red, Green, Blue, Yellow, Dreams. 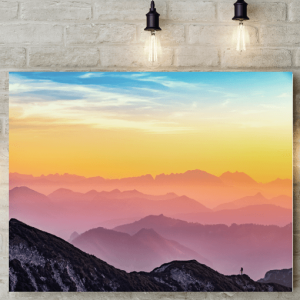 Beautiful rainbow coloured sky picture canvas, colourful view looking out over the mountains. 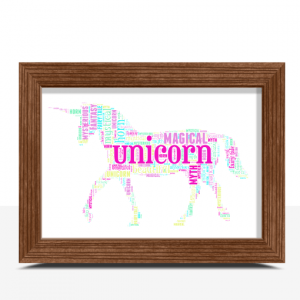 Add all your own words to create your Personalised Rainbow Unicorn Word Art Print.